Author Robert NielsenPosted on March 31, 2013 April 1, 2013 Categories ReligionTags Atheism, Christianity, Easter, Easter Sunday, Jesus, Religion, Resurrection44 Comments on Did Jesus Really Rise From The Dead? Author Robert NielsenPosted on March 26, 2013 March 25, 2013 Categories ReligionTags Atheism, Christianity, Faith, Pray, Prayer, Religion6 Comments on What’s The Point Of Prayer? One of the most glaring omissions from modern economics is the complete absence of any mention of power. Textbooks describe a world where everyone is equal and no one has power to influence others to benefit themselves. Norbert Haring and Niall Douglas make a huge contribution to correcting this omission by discussing the importance of power relations in economics and during the financial crash in their brilliant book, Economists And The Powerful. 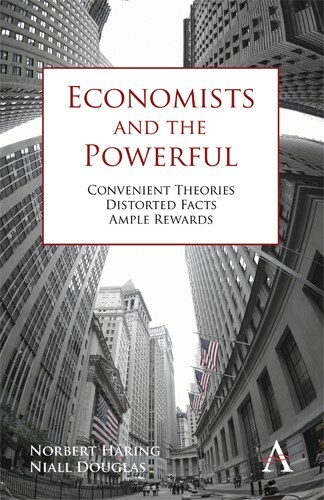 They show how power got removed from the economics discourse for ideological reasons, the power and influence of the financial industry, the corporate elite, how the economy is best described as monopolistic competition, how the money supply is controlled by banks, how the labour force is shaped by market power and how the government is manipulated by corporate interests for their own gain. It is a superb book that I highly recommend.